The NHL's Guardian Project has taken a lot of shots since it's release of NHL team superheroes over the last few weeks. For those that don't know what the Guardian Project is, it's pretty simple. 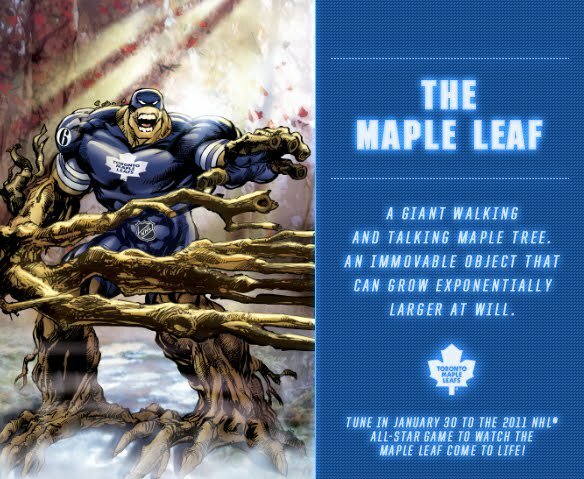 The NHL has teamed up with Stan Lee to create 30 superheroes for each of the teams in the NHL. Fans have been voting to see which team Guardian will be released each day. While the target demographic is obvious, fans of the game can't help but criticize these creations. Not only are some not very imaginative, but you can find so much humour behind the drawings and bios as they relate to a teams history. With the release of "The Maple Leaf", brought a storm of comments from Twitter about the creation (Hey! It has Chlorokinetic Communication!). 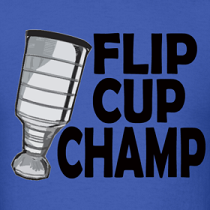 What do you think of The Maple Leaf? thats an Ent from Lord of the Rings, copyright! It can grow exponentially larger at will.